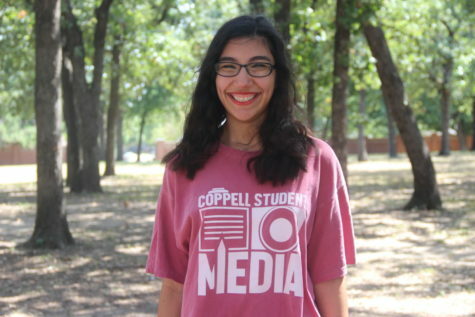 The Sidekick staff writer Jessica Hernandez discusses feminism and how it plays a role in media. Feminism can show itself in media in ways such as the critically acclaimed Broadway musical “Waitress”, Emma Watson’s U.N. Women partnership and much more. From Broadway musicals to social media posts, feminism has become a central theme for thousands of stories that are being told every single day. Although the definition of feminism varies from person to person, I see it as the advocating for equality of the sexes and the empowerment of women. At one point in time, women were unable to own land, make money or vote. Now, women can do those things, but they still make less money than men. Women are still cheated of opportunities on a daily basis, are seen as inferior to men in certain practices and are often still tied to social norms surrounding gender. More than anything, feminism is the unity of women for equality. As with any other movement, there are many stereotypes made about the people who support it. In this case, some think feminists hate men and wish they were more powerful than them. Those are just two of the many stereotypes that are often the furthest from the truth. “Waitress”, a critically acclaimed Broadway musical with songs written and later performed by Sara Bareilles, ran in Dallas from March 28 to April 8 at Fair Park. It follows the story of a young woman as she overcomes struggles and learns to take her life into her own hands, inspiring audiences and empowering young viewers. 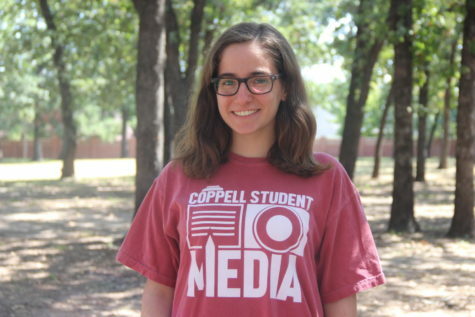 “It’ll make you walk out of the theater believing that girl power is pervasive and it’s just the best feeling ever,” CHS senior Alli Feille said. Backed with an all-female creative team, the show is also completely run by women, which is very unusual for a show on Broadway. In 2016, Emma Watson, self-proclaimed feminist and role model for women around the world, launched her own feminist book club called Our Shared Shelf in partnership with U.N. Women. They began reading and discussing books monthly, but that has since changed to bi-monthly selections and discussions. With a following of over 210,000 readers from all over the globe, there is no shortage of relevant conversations within this group. For the months of March and April, Watson’s selection was “Heart Berries” by Terese Marie Mailhot, a collection of essays focusing on overcoming struggles and finding your place in the world. Despite these shows and books that promote strong feminist messages, women, especially girls, are still treated differently than men and boys. The norms have been ingrained into the very foundation of our country, beginning from the late 1700s to now, and there is much work that needs to be done to change them. Just a few days ago, as I was volunteering to move chairs and tables for testing, eight boys were asked to help an administrator move something. With a look of disbelief on my face, I turned to see others offended and outright annoyed by such a comment. What about my gender implies that I am unable to carry a heavy object? The answer is simple: absolutely nothing. Women, myself included, should not be seen as less than men. We should not be stereotyped because of who we are. No one should be made to feel ashamed of themselves because they are not up to society’s flawed standards. The only way these flawed ways of thinking can change is through media and discussion spurred from it. 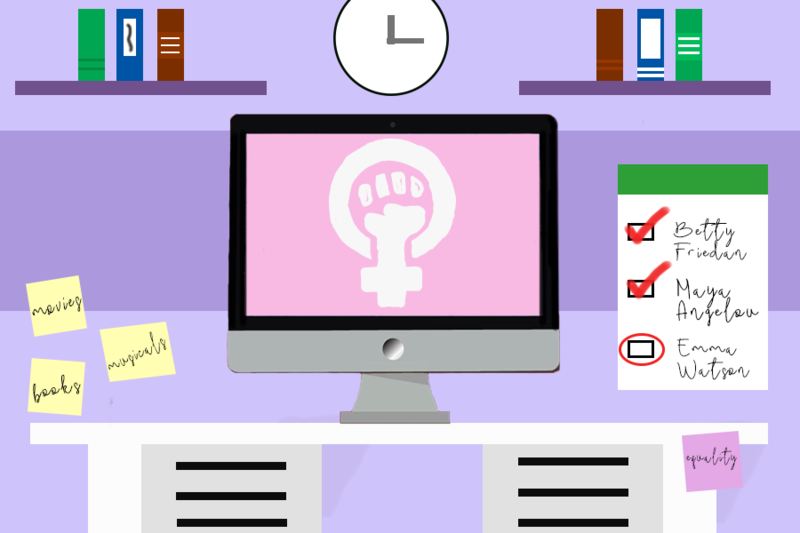 With recent social media movements and the platforms that have been created online, future generations are sure to grow up knowing more about movements such as feminism. They are likely to grow up seeing women treated equally on TV, in movies and in the books that they read. They are likely to pay their employees equal wages for equal work, grant opportunities to both men and women and raise their children in a more open-minded and inclusive manner. Despite all of this progress, there is still work to be done. Currently, there are only 83 women serving in the House of Representatives, meaning that women make up merely 20 percent of the House. When compared to 1777, this is quite a feat, but considering that it is 2018 and the representation of men and women should be equal, this ratio still has a long way to go. To achieve a true state of equality and reach the goal that feminism promotes, we need to keep our minds and our hearts open. Watching empowering musicals and reading feminist books barely scratch the surface of how the message of feminism is being spread through media. Through the power of media in general, we can make messages clear and tell stories that can help us achieve equality in the future by teaching future generations that women are equal to men in every way.